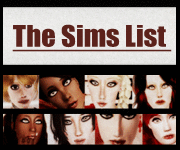 So if you don't know by now i am obsessed with skins for the sims and make an effort to track down all skins. Anyway i have changed my defaults again. This beautiful face skin is by Gelydh at Black Neon Flowers of Gelydh. Link for this skin which is Gelydh personal skin for his own use. I can see why. I love the pores on this skin and the eye detail is very detailed. I also love the way it makes the Sim look it's a male face skin only. But it works great with another great skin by Navetsea. I use Navetsea skin as my defaults so, all i had to do was replace the male face skin. I take no credit for theses works. I just thought seeing as i haven't seen this mention on MS3B i would mention it. Navetsea skins have been mentioned before. They are a perfect match, which surprised me. Click pics for bigger preview. No make up (pose by Amaryllisim. Thanks to everybody else poses i have used Beech, IMHO and anyone i might of forgotten. Thought he was a girl at first. ^_^ It is a lovely skin tone. Yeah I do not really understand MS3B sometimes. I was just uploading it to the Doll Emporium. 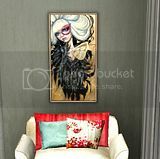 ^_^ I need to go through my skin tones, I have so many i do not use anymore. It is alright to make boys that look like girls. ^_^ I try desperately to make mine look macho, though I think I fail at it most of the time. I try to make macho boys but never quite achieve it. But if truth be told i prefer my pretty boys (or BJD boys) because most of my dolls look like Rex. Yeah i have too many skins in my game i don't even use. I need to sort them when i stop being lazy. I like your male sims, they are a mixture of both macho and pretty. Thanks Js Sims. I am going to have to use a less pretty sim next time to show of the skin. Ignore Rex. No, Rex might be one of my prettist boys i manage to make. Yeah both skins are pretty cool, especially Geldyh face skin. Rex is cool too. Thank you.